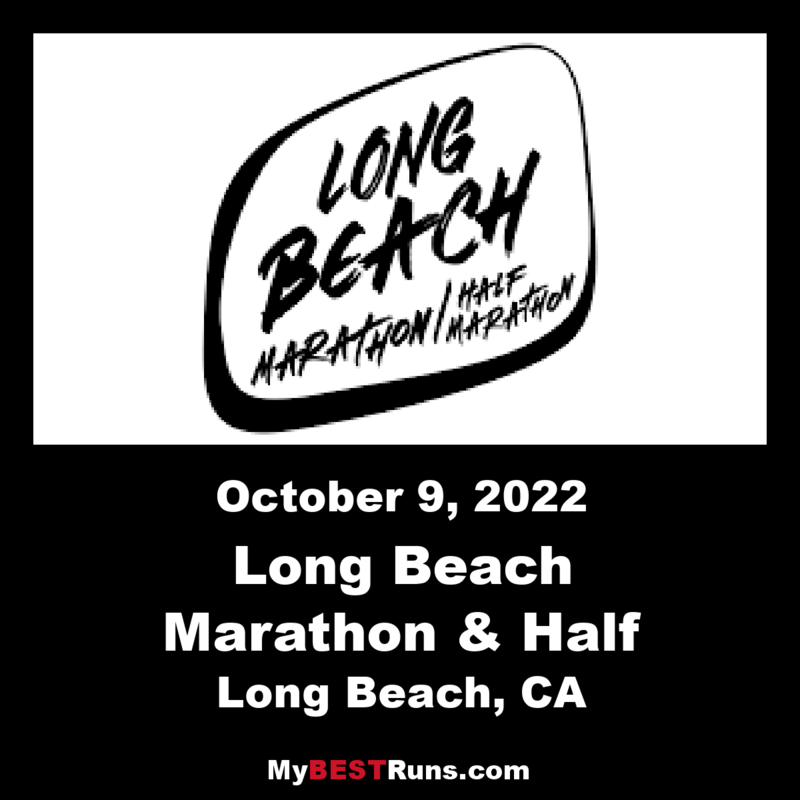 Come experience one of the most scenic events in California, “Run Long Beach”. Starting in Downtown Long Beach, runners head towards the historic Queen Mary and then through Shoreline Village. After running next to the Pacific Ocean on the flat beach path, half marathoners will continue down Ocean Boulevard while full marathoners veer right and head through Belmont Shore toward Marine Stadium. 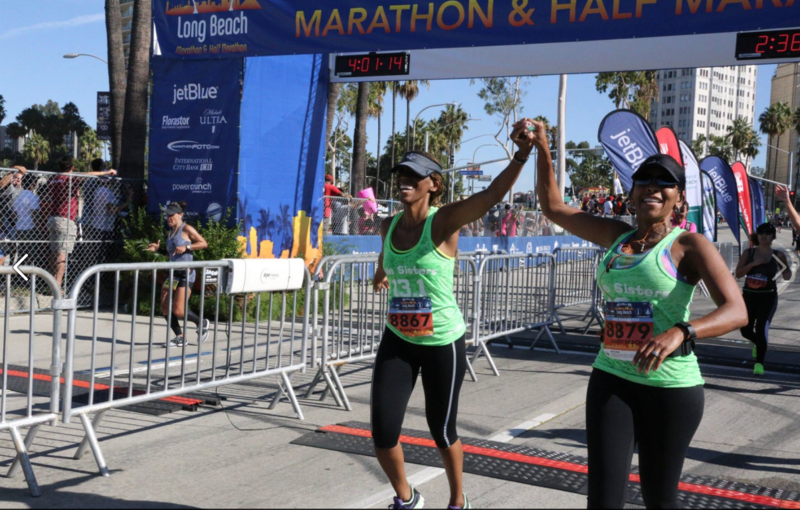 The Long Beach race course combines spectacular oceanfront views, charming seaside communities, and the metropolitan feel at the start and finish. Fast, Flat and Scenic. 80% on or within sight of the ocean. The highest elevation on the course is 45 feet. The Course starts on Shoreline Drive, passes the new Pike at Shoreline Village, crosses the Queensway Bridge and runs to the bow of the Queen Mary, circle back around the Aquarium of the Pacific, the Lighthouse at Rainbow Harbor, Pierpoint Landing, back by Shoreline Village and down the beach. Those who completed the full marathon started in the dark at 6 a.m. Sunday. The course winds around Queensway Bay and Rainbow Harbor before sending runners eastward toward Belmont Shore, then northward past Alamitos Bay, Colorado Lagoon and Recreation Park before a turning east again so competitors can run around the Cal State Long Beach campus. From there, runners head down to Ocean Boulevard and let their legs power their bodies westward to return to the city’s shoreline area and the finish line near Marina Green Park. Whereas Beneke pointed to the start of the race as a high point, Adan Ramos, 21, of Long Beach, singled out the final two miles and its cheering crowds for praise. And after crossing the finish line, it was time for recovery and celebration. “(I’m) a little sore, but I’ll be all right. I’ll be fine,” Jayson Warsuma, 33, of Los Angeles said after finishing the race. Race results posted online show Warsuma completed the marathon in about three hours and 26 minutes. He acknowledged that he took things a little easy on a fairly hot day for running, but his aspirations include getting his marathon time below three hours. Many runners’ race bibs bore their own names, but Kim Ho ran with the words “For Nathan” emblazoned below her number. Chip Jordan was the overall winner posting a time of 2:24:47. Mary Akor was the female winner with 2:46:49.